Crayons have feelings, too, in this funny back-to-school story illustrated by the creator of Stuck and This Moose Belongs to Me -- now a #1 New York Times bestseller! Poor Duncan just wants to color. 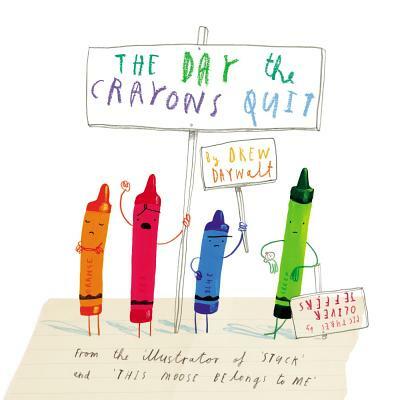 But when he opens his box of crayons, he finds only letters, all saying the same thing: His crayons have had enough! They quit! Beige Crayon is tired of playing second fiddle to Brown Crayon. Black wants to be used for more than just outlining. Blue needs a break from coloring all those bodies of water. And Orange and Yellow are no longer speaking -- each believes he is the true color of the sun.